Happy National Yoga Awareness Month! This September, we are celebrating the practice of yoga, and all it can do for both your body and your mind. 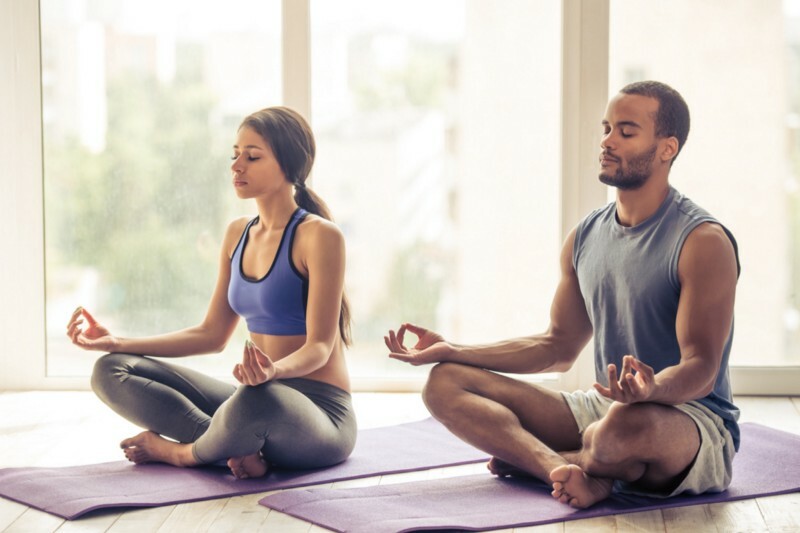 Whether yoga is already a part of your daily routine or you are just beginning to incorporate it into your fitness schedule, yoga provides you a host of significant mental and physical benefits that elevate your well-being. Regardless of how experienced you are with yoga, yoga is something that everyone can adapt for their needs and the capabilities of their bodies. Needing some motivation to fit more yoga into your life? Here are 10 reasons why you should incorporate yoga into your regular fitness routine! 1.You can do it anywhere. No need to drive out of your way to go to gym to exercise. You can do yoga anywhere that you have space, such as your living room, your bedroom, a patio, or even the beach or a park. All you need is a mat and some space. 2. It’s essentially free. You don’t need to shell out a lot of money to practice yoga! While going to a class might be a great way to challenge yourself and meet new people, you can also practice on your own or follow online videos, wherever and whenever is most convenient for you. 3. It’s great for building core strength. Many of the moves in your yoga practice engage many of your abdominal muscles. Positions that incorporate balance and require stability, such as planks, help to tone your middle. They strengthen your entire core, including your upper abdominal, lower abdominal, oblique, and back muscles. 4. No two practices ever have to be the same. With many different combinations of moves you can incorporate into your flow, you never have to get tired of the exact same routine. You can switch it up based on your fitness and mindfulness goals for the day. 5. It helps you lower your anxiety. Yoga helps you establish a mind body connection, where you are conscious of your mental thoughts and body movements all at once. By tuning into your deep and steady breaths throughout the practice, you can enhance your relaxation and sense of calm. Yoga also helps lower the stress hormone cortisol, which boosts your resistance against the long-term negative impacts of stress on the body. 6. It can help you get better sleep. Since yoga relieves your stress and reduces your cortisol levels, it helps you get better, more restful sleep at night. The better the sleep you get, the more calm, energized, and focused you feel throughout the day. 7. You can tailor your practice to suit you and your needs. 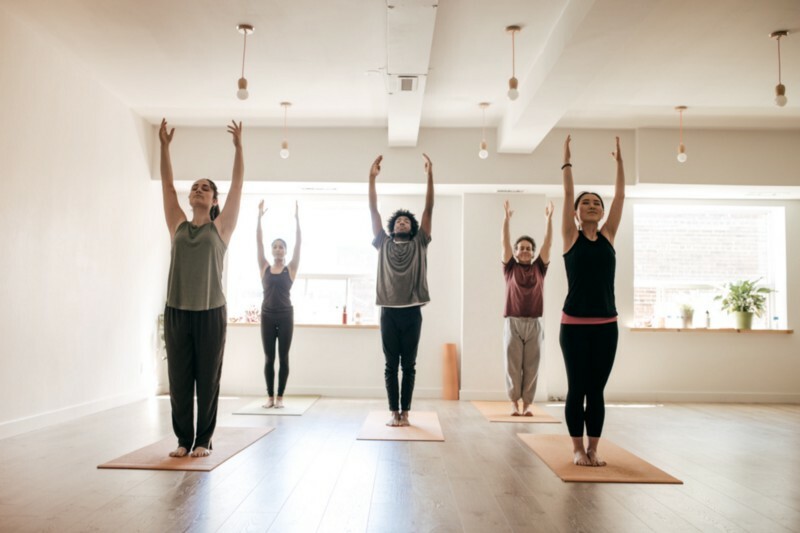 Yoga is highly individualized, and with many different types of practices to choose from, it’s easy to do what’s best for your mind and body on even given day. Looking for something powerful and intense? Try a challenging vinyasa workout. Looking for something more relaxing, where you can focus on your breathing and mind body connection? Try a Hatha or Ashtanga practice. Whatever your needs, you can tailor your practice to meet them as they change. 8. It can improve your posture. Yoga moves such as “downward facing dog” and “tree pose” help to elongate and relax your spine. Yoga also relieves tension in your back while it strengthens your back muscles, which makes it easier to stand up straighter and maintain better posture throughout the day. 9. It helps you become more flexible. 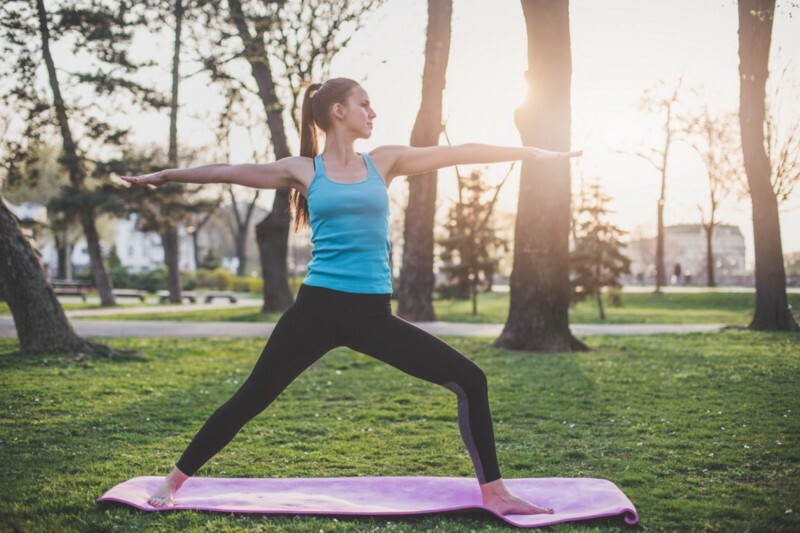 Whether or not you already consider yourself flexible, practicing yoga regularly can help increase the flexibility in your muscles, while it also reduces the tension in your joints. Increasing your flexibility makes it easier for you to perform other types of exercise, and helps you prevent injury. 10. It helps you enhance your focus and mood throughout the day. Yoga increases blood flow to your muscles and your brain, which helps you feel energized and focused. As you incorporate yoga into your fitness routine, it can trigger a release of endorphins that follow exercise, which enhance your mood. These are just a few of the many reasons why yoga is great for both your mental and physical well-being. What motivates you to incorporate yoga into your daily routine? Let us know, and share pictures of your practice with us on Instagram or Twitter!